A unique and iconic Tiffany inspired round brilliant cut diamond solitaire engagement ring with 6 claw setting and tapering shoulders. Enjoy this iconic Engagement Ring design with the reassurance of a secure six claw setting to secure your Diamond. Both Diamond and ring mount work in perfect harmony within our most popular solitaire Engagement Ring design. 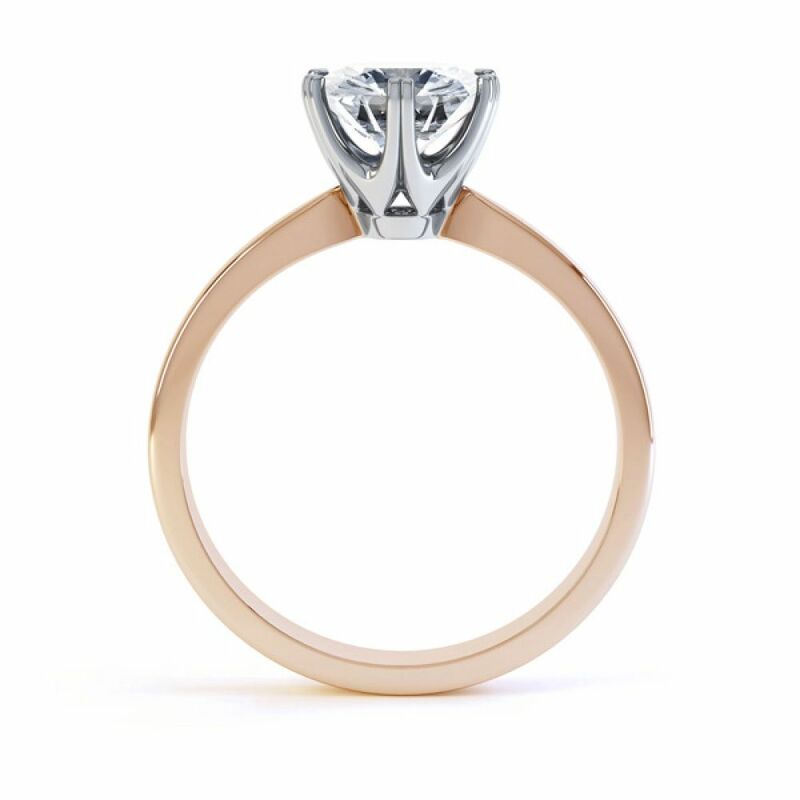 We can create this beautiful ring in 18ct Yellow Gold, 18ct White Gold, 18ct Rose Gold, 950 Palladium and 950 Platinum. 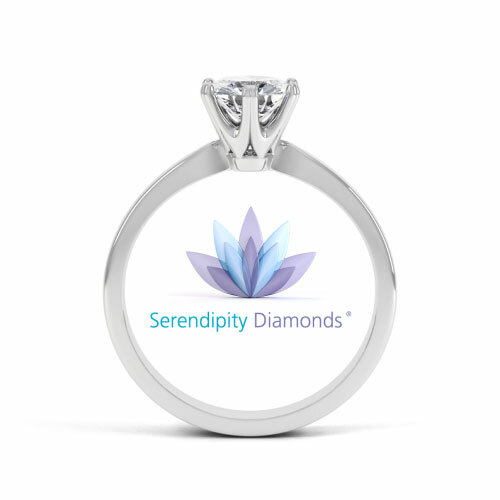 Please allow approximately 3-4 weeks for your ring to arrive creatively packaged with added reassurance of our 60 day returns policy and a free ring size adjustment should you require it. Read the following details for more information on this design. World famous jewellers Tiffany & Co are responsible for creating the iconic Tiffany setting. 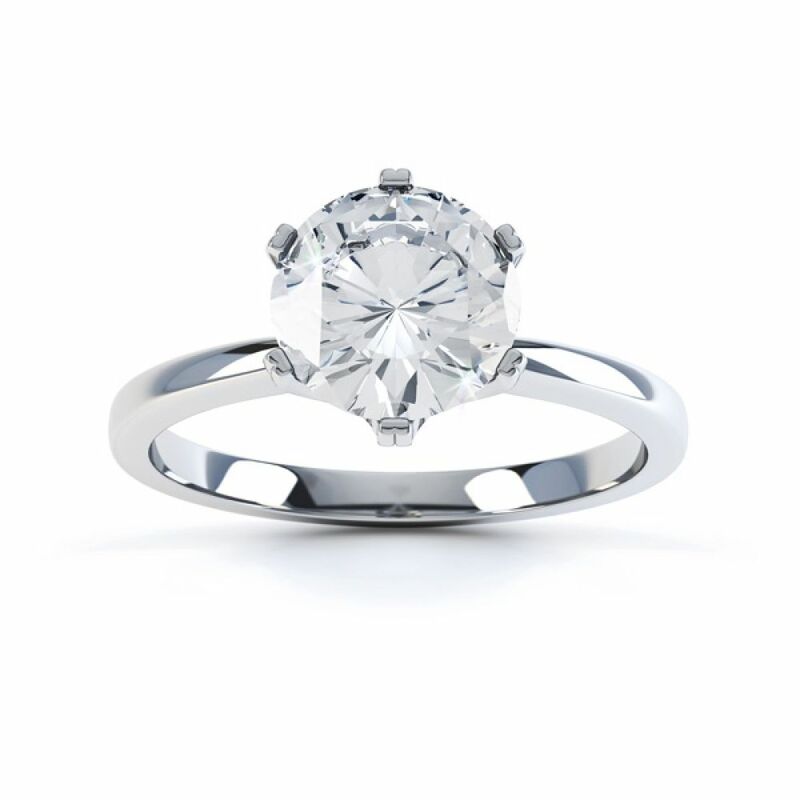 Originally produced in Platinum, simplicity was a key factor of the solitaire design. To this day, Tiffany inspired settings remain the most popular solitaire ring design for a wide range of round and fancy diamond shapes. Service rating :They are happy to spend plenty of time talking to customers to ensure you are happy with the details of the ring. Cannot fault their customer service. They answered all of my questions, and I had quite a few!! Service rating : This company seems to have invented customer service! I cannot fault their interest in me as a customer. They answered my questions happily no matter how many times I asked the same question. Tiffanie - R1D077. 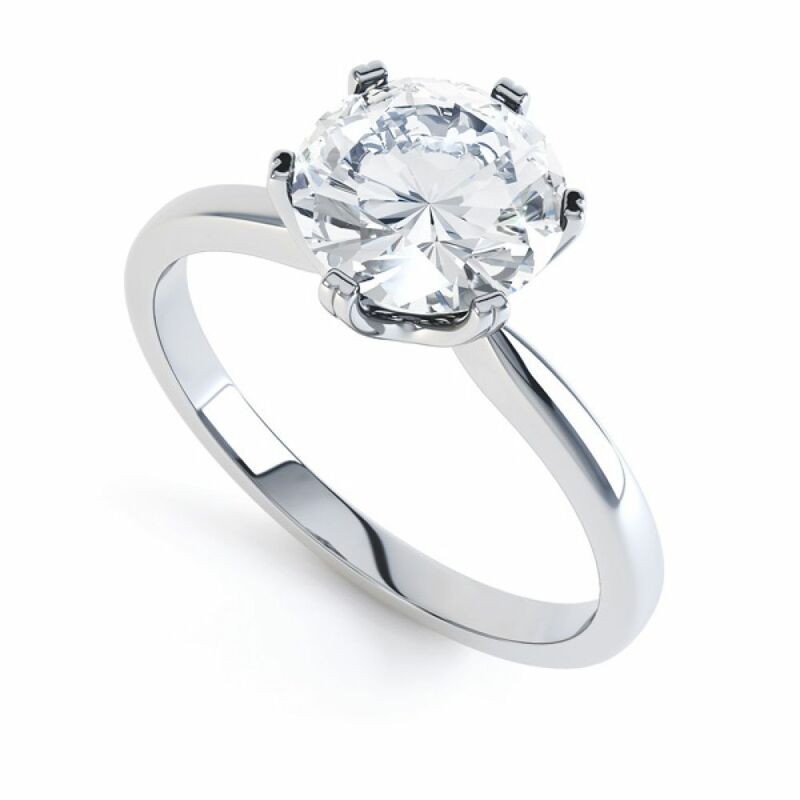 A diamond Solitaire engagement ring Set with 0.86cts Round Brilliant Cut diamond. Service rating : I've dealt with Drina and Mark on several occasions now, and had the pleasure of visiting their offices and meeting Drina in person when selecting our latest purchase. Your customer service, and honest advice is flawless, I can't fault you! Service rating : Very happy with the level of service, the communication during manufacturing of the ring, the after sales service and I would happily recommend the company to anyone thinking of buying from them. Product: Everyone has said how beautiful the ring is.